You may have heard it from real estate agents. What sells a house? Location, location, location. It’s not much different in your store. Where a product is placed on the salesfloor can have a big impact on how well it sells. Every product belongs to a department. But then there are the times when you switch it up. You pull products from the in-aisle places where they normally live and put them in a place where shoppers don’t expect to see them. That’s the power of cross-merchandising. 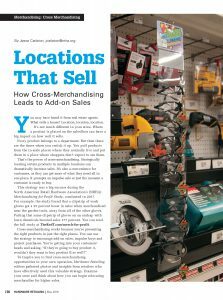 Strategically locating certain products in multiple locations can dramatically increase sales. It’s also a convenience for customers, as they can get more of what they need all in one place. It prompts an impulse sale at just the moment a customer is ready to buy. 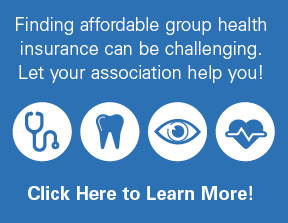 This strategy was a big success during the North American Retail Hardware Association’s (NRHA) Merchandising for Profit Study, conducted in 2017. For example, the study found that a clipstrip of work gloves got a 25 percent boost in sales when merchandised near the garden tools, away from all of the other gloves. Putting that same clipstrip of gloves on an endcap with lawn chemicals boosted sales 177 percent. You can read the full study at TheRedT.com/merch-for-profit. 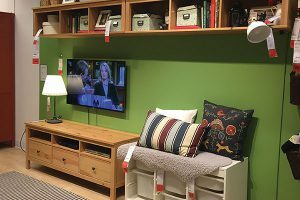 To inspire you to find cross-merchandising opportunities in your own operation, Hardware Retailing editors gathered photos and insights from retailers who have effectively used this valuable strategy. Examine your store and think about how you can begin relocating merchandise for higher sales. 1. Look for something unique. Not every product you suggest as an add-on sale needs to be part of your core hardware mix. 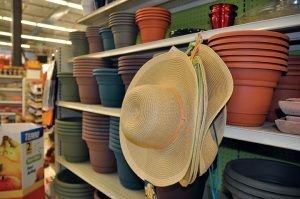 Ryan Flaherty, store manager at Balsam Lake Hardware in Balsam Lake, Wisconsin, has added garden hats as a natural accompaniment to his garden department. “We look for ways to place fun or unique items that are going to catch the customer’s attention,” he says. “The hat, for example, makes them want to grab it and put it on.” If he can first get customers to stop and pick up the item, he’s brought them one step closer to the sale. He carries that philosophy throughout the store. Near his hunting and fishing department, he offers snacks, such as chips, salsa and trail mix. 2. Change with the seasons. At Cottonwood Hardware Hank in Cottonwood, Minnesota, ice melt, snow shovels and cold-weather hats and gloves (just across the aisle) are a natural fit. Owner Ben Andersen leaves them up front, where it’s easy for shoppers to see them. “It’s important to follow the season when you’re thinking about cross-merchandising,” he says. 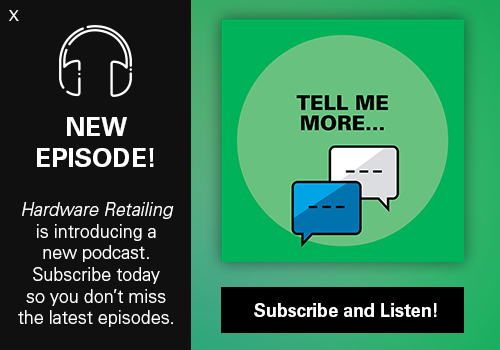 “Think about the needs of the customer and how you can encourage impulse purchases.” Retailers with small spaces can use the power aisle to put cross-merchandising to work. That area is where you are able to bring together larger items too, such as lawn furniture, grills and coolers. One of the most effective ways to use cross-merchandising is to promote project sales, and there’s more than one way to do that. Merchandisers such as clipstrips can help combine two products that might be used together. Product signage can provide a checklist of items a customer needs, too. 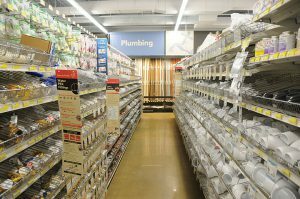 At Brewer’s True Value in St. Peters, Missouri, aisle violators offer an explanation of how to use certain plumbing fittings and suggest other items used to complete the project. 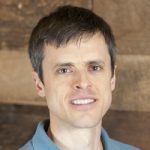 While product checklists don’t get actual products in front of the customer, they give them important information, save space and will help drive customers into other parts of the store. Pallet displays in a wide aisle of the store are already guaranteed to catch shoppers’ attention, so why not make the most of them? At the Buchheit chain of stores in Missouri and Illinois, a simple wooden frame holds a sidewinder, typically used on endcaps. These merchandisers can then be stocked with items that pair with the product on the pallet. They don’t take up much space, either. Since pallet displays convey a low-priced image, shoppers may be more likely to add an extra item to their carts if they believe they are already saving money. This method is also a great way to promote new or related items from the same category. If you sell greeting cards, take a cue from convenience drugstore chain Walgreens. 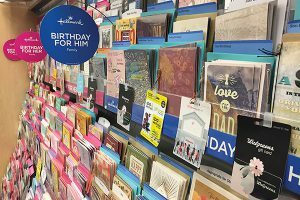 This retailer realizes that many people purchasing a birthday card also want an easy gift, and gift cards are a popular choice. Placing a few gift cards alongside the greeting cards gives shoppers an instant gift idea and makes it easy for them to get everything they need at one spot. As you are developing your cross-merchandising strategy, start with the destination item, or where the customer is likely to go first. Then, consider the entire project that might surround that item and look for an inexpensive item that might go well with it. Even a small add-on sale can boost your store’s average transaction size. Big-box retailer IKEA is famous for its vignette displays showing the layout of an entire apartment. But this type of display doesn’t have to take up a lot of space. IKEA also uses just a few items to create a scene, as shown here. It’s a technique used frequently by building materials retailers, too. Show the products you’re selling within the context of how they could be used together. By merchandising this way, you offer customers ideas they can take home. It also displays multiple items. For example, for a display of patio furniture, set the table with dishes from your housewares department, beverages from your snack aisle and flowers from your live goods area. 7. Think like a decorator. 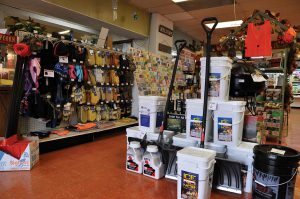 Customers walking into the paint department at Connolly’s Do it Best Hardware in Fort Wayne, Indiana, may have more than just painting walls on their minds. Owner Michael Connolly wants to make the most of their time in that area by promoting products from other areas of the store. There’s a display of high-end kitchen mixing bowls nearby. 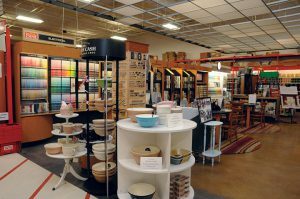 While there’s no project connection between the bowls and paint, the display is intended to appeal to customers most likely shopping in that area. “We’re in the decorating business,” he says. 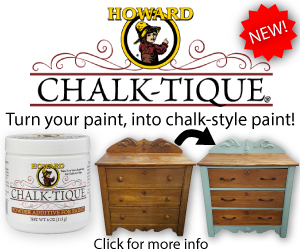 “We operate the paint department with that in mind. There are a lot of women shopping that area, so as they’re looking at paint and wallpaper, we’re giving them something else to consider.” He’s also placed a display with special-order cabinet hardware near the paint chip racks. Changing out the hardware on a kitchen or bath cabinet can enhance what the painter is already doing in the room. It’s an add-on many might consider while they’re thinking of redecorating. 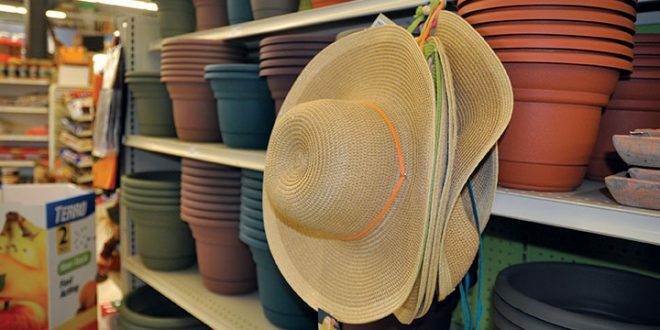 Creating cross-merchandising opportunities doesn’t always mean finding extra shelf space. Often it’s just an embellishment of the space you already have, which makes it easier if you’re limited by a small salesfloor. Football fans at Vickie Davison’s store, Bloomington Hardware located in Bloomington, Indiana, take tailgating seriously. 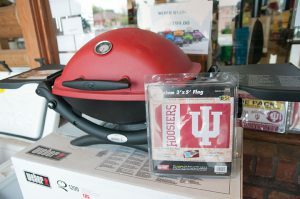 So if a tailgater is looking for a grill, Davison makes a simple suggestion—why not buy an Indiana University (the local university) spirit flag to go with it? She only needs to display a single flag, and the space required is minimal. If you want to be more effective at add-on sales, predict what your customers might need. 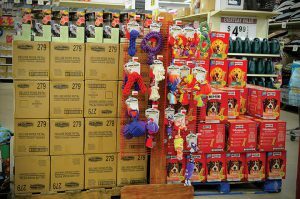 “Cross-merchandising is simply thinking about the customer’s total needs, whether it’s putting glove warmers with gloves, lighters with grills and tiki torches, or disposable gloves with anything messy,” she says. Learn to fill up spaces in such a way that you’ll make the extra sale.